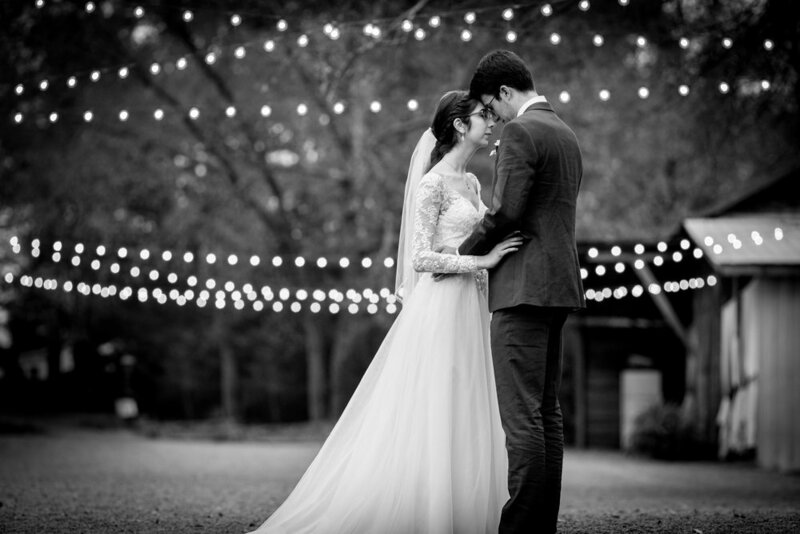 These Duke University Students left their mark on Cedar Grove Acres on November 12th 2017, not just by their marriage, but by another special treat. The morning of their ceremony, a calf was born, and they named him Duke! The next day, another baby calf was welcomed into the world, and was named Duchess! This day wasn’t just about celebrating the start of a new life together, but also the birth of two new lives! 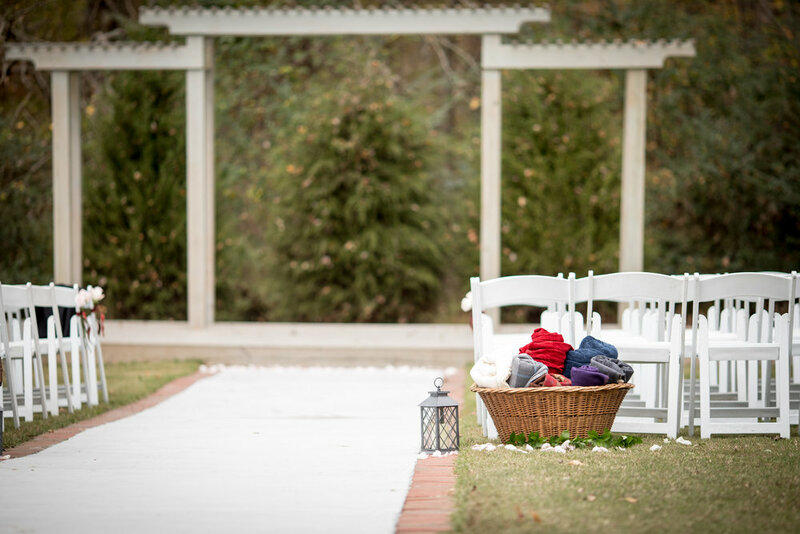 I Do’s- The couple was mindful of the season and with a chill in the air, they made sure their guests were warm for this wedding by placing a basket of blankets at the head of aisle. Guests were delighted by their thoughtful and warm gesture! The ceremony was held in the meadow at Cedar Grove Acres, where the bride made her entrance to beautiful music played by her brother. 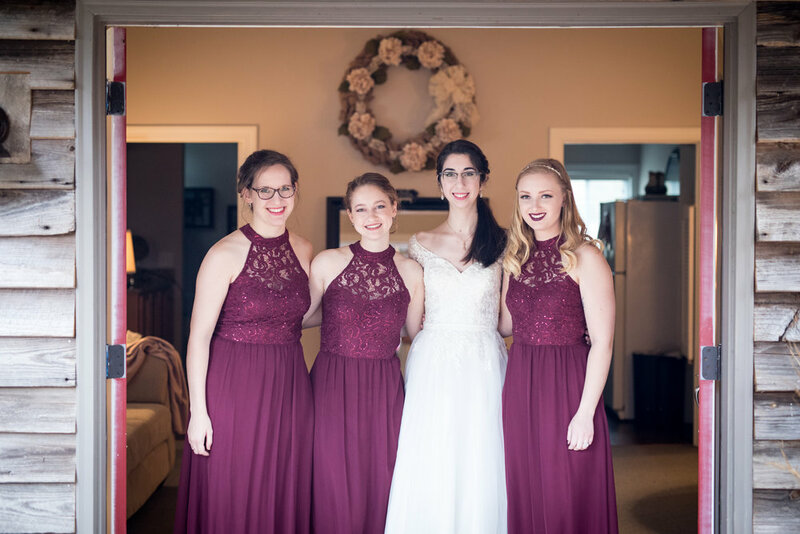 Amy made her way down the aisle to John as Amy’s bridesmaids stood by her side in chiffon burgundy gowns, and John’s groomsmen standing tall in navy suits and burgundy ties. 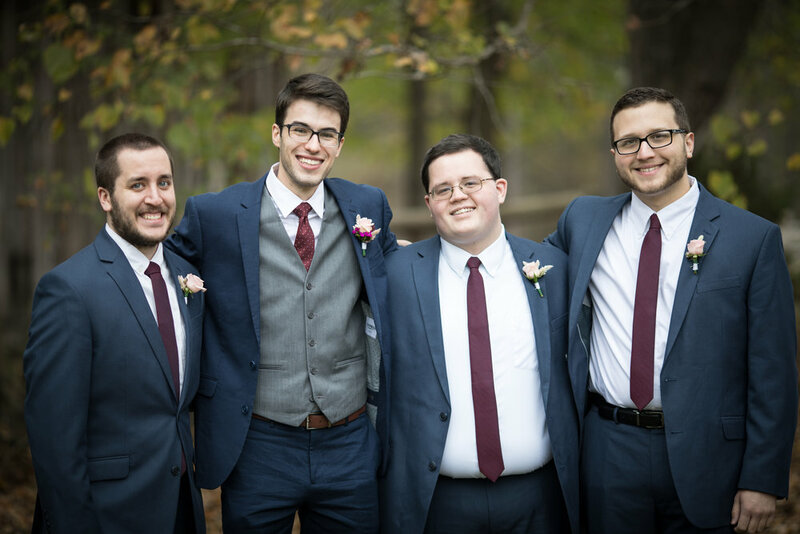 Post I Do’s- After the two said their I Do’s, the guests made their way to the reception space. Each table was decorated with a white linen, lanterns and greenery atop a wood slice, surrounded by burgundy petals. This was such a gorgeous rustic look! 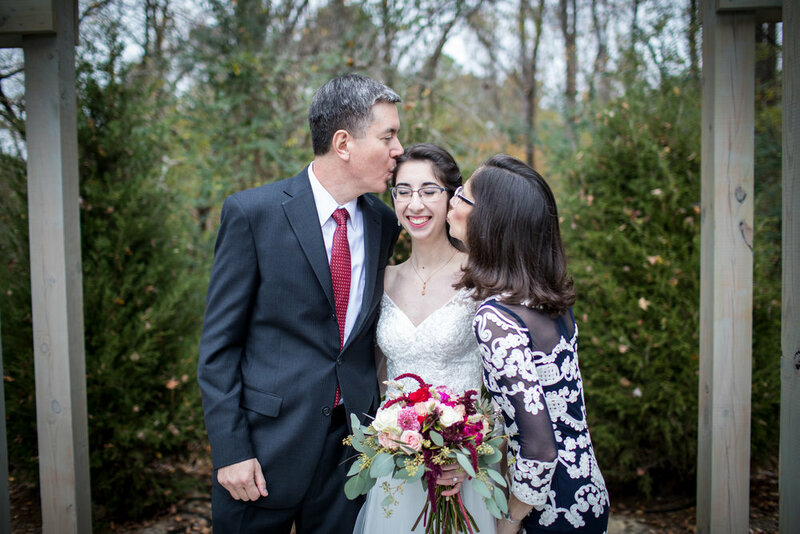 The guests were treated to a slideshow of the couple, which documented their journey to meeting each other including baby photos, childhood memories and pictures of their many adventures together! Well, no reception is complete without delicious food and Capital City Chefs made a delicious spread of the couple’s favorite food--Mexican! But you can’t have savory without sweet right?! Amy’s mother made her childhood favorite, a delicious strawberry cake for the couple to cut. This memory will last a lifetime. 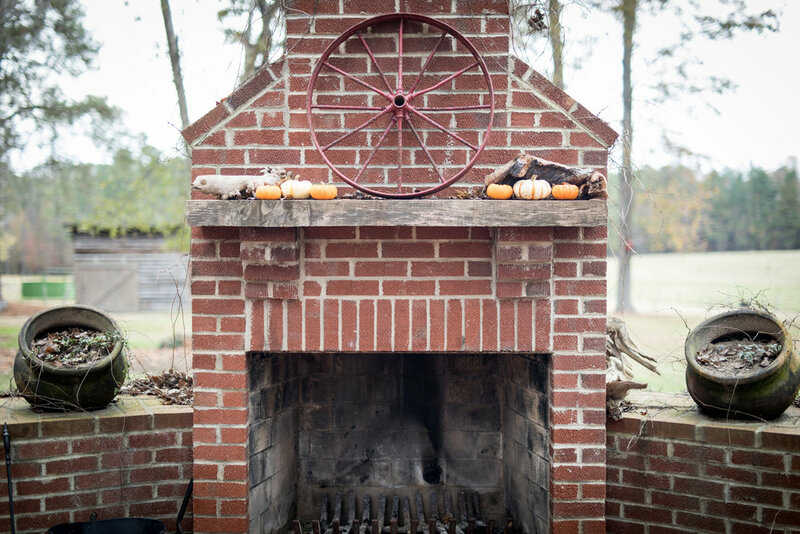 Once dusk was upon them, the guests collected s’mores packs, their favors for the night and joined each other by the fire pit to roast their marshmallows. Who doesn’t love a chocolate treat on a cold winter’s night? As the celebration commenced, the two love birds were sent off with a gorgeous sparkler exit! Celebrating this special day with not only this couple, but all of our couples, makes us the luckiest girls in the world! 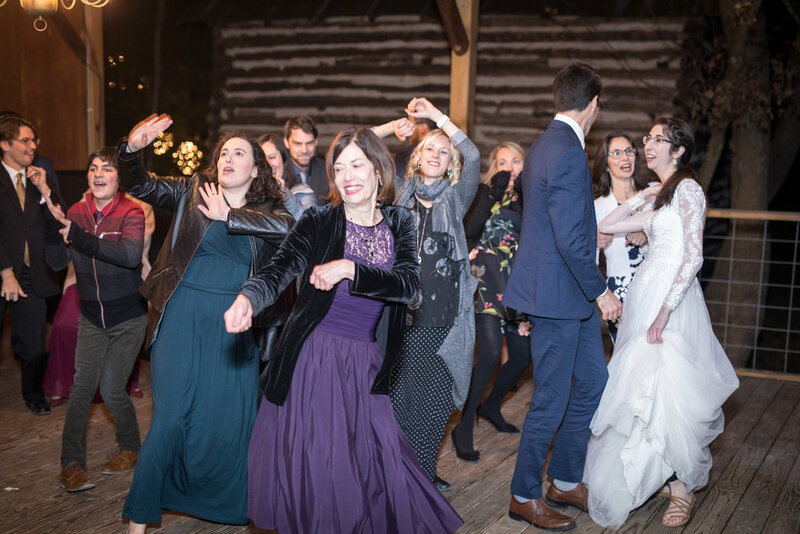 We love seeing the smiles, tears, laughter, and dance moves at each and every event. 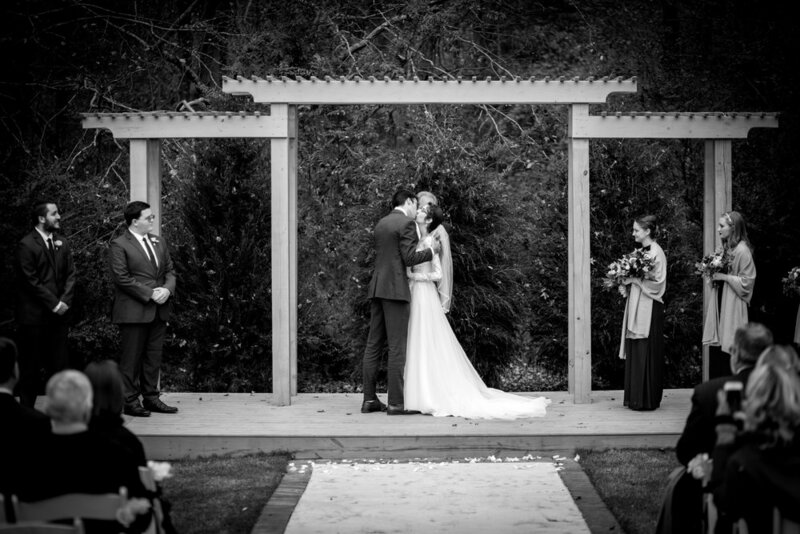 We are so lucky to have been a part of this memorable day for Amy & John(and Duke & Duchess), and look forward to many more to come!